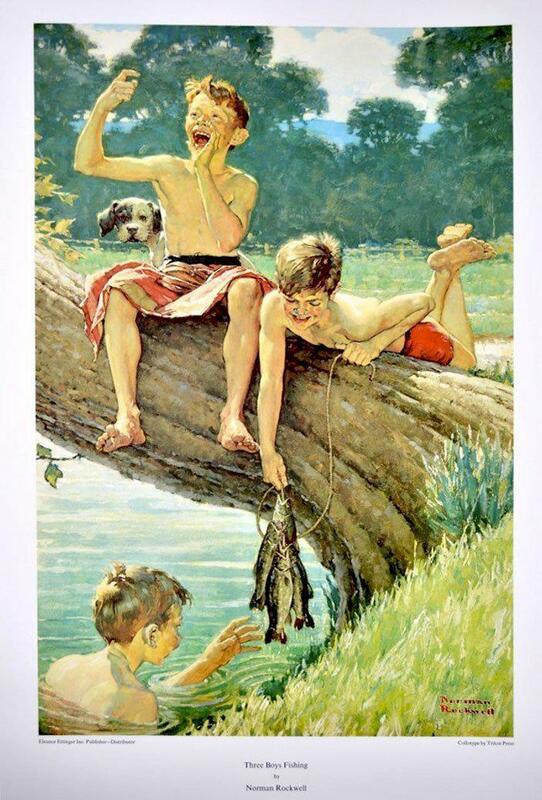 "Three Boys Fishing" collotype art by Norman Rockwell. Year 1975. Measurements: 23" x 33".